Volunteering You Can Get Into: Meet Our Volunteers! Meet Karen Forney! She's one of our longtime volunteers who is involved with the MF community in many ways - as an educator, former intern, and part-time event staff. And, she still makes time to volunteer. Read on to learn more about her long relationship with the museum. Since 2007, when I graduated from college. What do you do when you're not volunteering? Gosh! I work part time at an online educational institution, and also as a Museum Educator here at the Mattress Factory. I perform regularly as a comedy improviser. Rodin and Michelangelo. At the MF, I love James Turrell, Mark Garry, David Ellis. I love Rolf Julius' sound pieces. What do you wish people knew about the MF, but maybe don't? I think when people think of museums, they think of rules and etiquette and behavior that goes along with being in a fancy place. 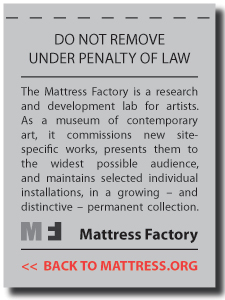 But at the Mattress Factory, it's open-ended, self-directed in some ways, and relaxing, at least for me. I don't have to worry about a docent telling me I'm too close to the artwork - because I'm part of it. That's what makes the MF so different from other art museums. So, you also work part-time for us and have other commitments, yet, you volunteer. Why do it still? What does it mean to you, and how has that changed over the years? When I first started volunteering, it was right after college. I was burnt out from art and didn't know what I wanted to do with my life, but I knew deep down that I needed to stay connected to art. Volunteering was my only social outlet for the first few years after college that I did on my own - it was Karen Time. The staff were so nice and laid back that I always felt happy being here; I have always been grateful for that. I also feel like I learned how to be OK meeting new people. 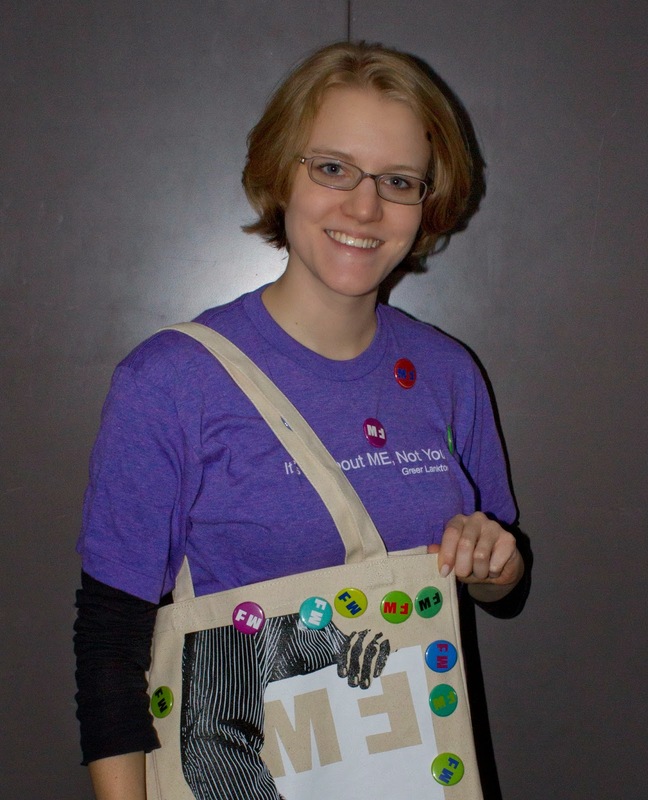 Because of my enthusiasm, the MF gave me the opportunity to take on more roles and make me a part of their community. It's my museum family, so even though I work more, I can't give up on volunteering!! Volunteers at the Mattress Factory provide support to the museum at every level. Our programs, exhibitions and events would not have the reach and impact they do without the help of our faithful volunteers. For more information about the MF Volunteer Program or to apply for a position, please visit our Volunteers page. ARTLab: Board the Solar Express! To start the month off right, ARTLab introduced MF visitors to part 1 of 4 of the Photovoltaic Solar Energy and Art Series (PV-SEAS). ARTLab head educator, Derek Reese, and Indigo Raffel (visiting from Conservation Consultant Inc.), teamed up to combine art and sustainability by providing us with an afternoon of solar energy education, interactive games, and a giant mural inspired by the sun. 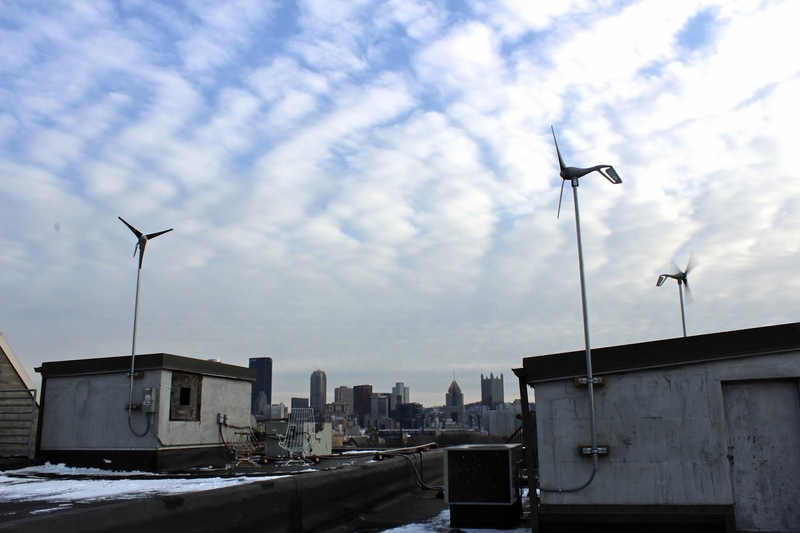 Participants learned about the importance of renewable energy and just how practical and easy it can be to take small, yet impactful steps in lowering our carbon imprint. Join ARTLab on March 15th for the second installment of PV-SEAS as we venture outside of the museum on our first field trip! A bus will be provided to transport participants from the museum to the CCI Center where we will meet Indigo Raffel again to learn more about green buildings, resource conversation, and the environmental health damage caused by traditional power plants. Participants will be able to help invest in the future through energy efficiency and renewable resources as well as have the chance to visit all Mattress Factory exhibits before and after ARTLab, including Design 99's installation, Following the Sun 2, which uses photovoltaic panels and wind turbines to create an open environment for reflection and contemplation of visitors' surroundings through contemporary art and architectural practice. Be sure to pre-order a ticket for this exciting journey by e-mailing Felice, the Director of Education, at felice[at]mattress.org or call 412.231.3169. Busses will leave the Mattress Factory at 1:00pm and return by 4:00pm (children need to be accompanied by adults). Please arrive on time and be prepared to learn more about sustainability! Tickets will be $15 for adults, $10 for members, students and seniors. Hope to see you there! 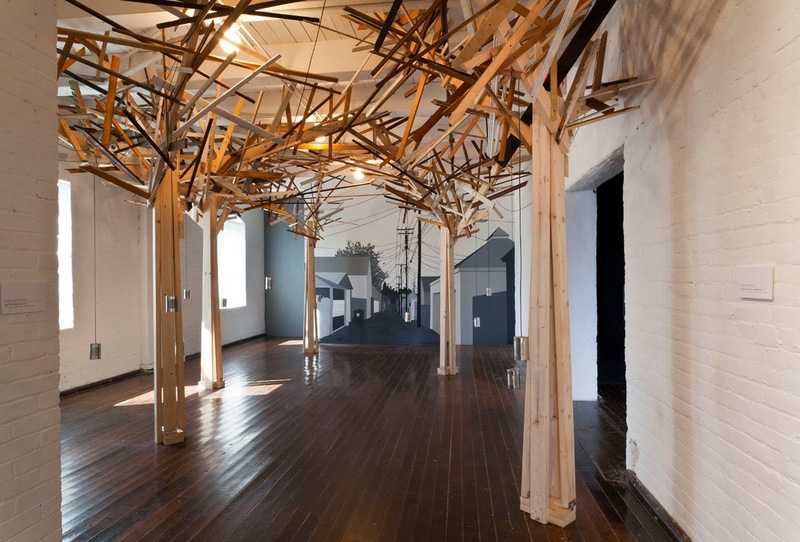 Mark your calendars for this month, Detroit artist, Jessica Frelinghuysen, will be joining the Mattress Factory for two events that explore the use of language and community through story collecting, literary readings, and music! Two of Frelinghuysen's pieces are currently featured in the Detroit: Artists in Residence exhibition. "My City is Your City" and "Sound-Collecting Suit and Backpack" are on-going investigations that document audio from four years of living in Hamtramck, MI, located two miles north of Detroit. 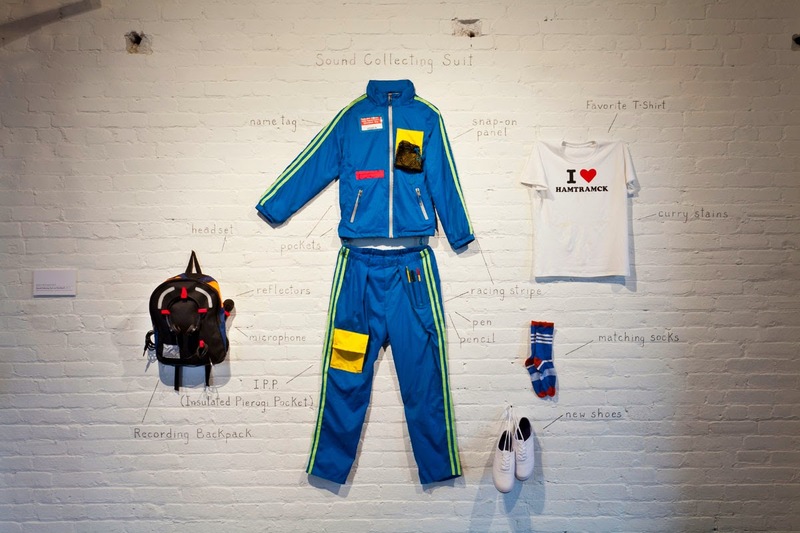 Frelinghuysen's sound-collecting suit allows her to acclimate to the sounds and voices of a foreign city and collect shared experiences of those who live there. Join us on March 14th for the "Let Me Tell You" Pub Crawl ($5, but you must RSVP[at]matterss.org because space is limited) starting at 8pm at the Mattress Factory. You are invited to join Frelinghuysen and writer, Steve Hughes, and then explore the North Side, collecting new stories and conversations by drawing and writing on your bar napkins as you go. These napkins will then come part of a one-night-only collaborative installation that will be installed in the Mattress Factory lobby during the Good Tyme Writer's Buffet the following evening. If you aren't able to go out for drinks on Friday, then come in for delicious food on Saturday! On March 15th, the Mattress Factory will be hosting Good Tyme Writer's Buffet a neighborhood potluck where six writers (Sherrie Flick, Steve Hughes, Joy Katz, Lori Jakiela, Daniel McCloskey, and Dave Newman) will read their works on neighborhoods and community while visitors celebrate with music, food, and good company. If you haven't seen Frelinghuysen's work, come at 6:30pm to check it out. The potluck will be at 7pm and the readings at 7:30pm. Admission is $10 ($5 for MF members) or FREE for those who wish to bring a dish to share. To reserve a spot for either, or both, of these wonderful events, please respond to RSVP[at]matterss.org or call 412.231.3169. 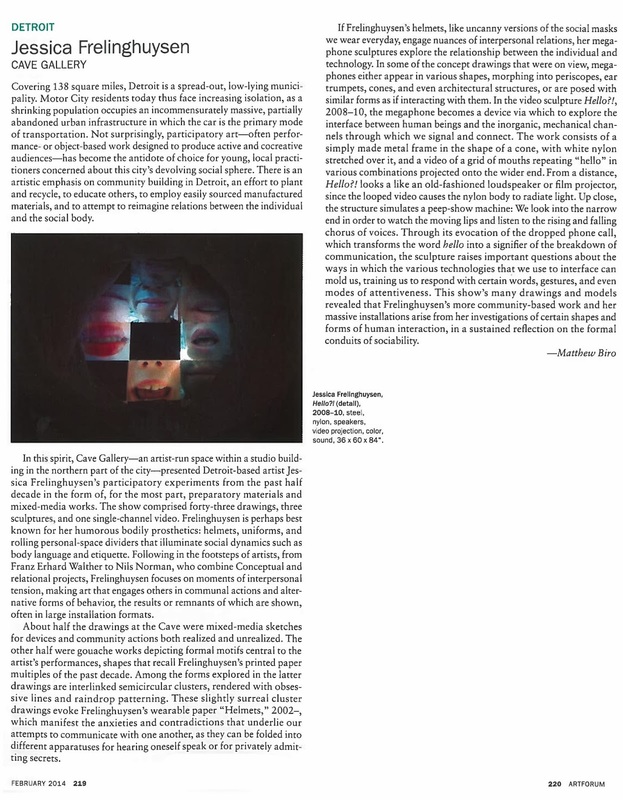 For more information about Jessica's work, check out her awesome review in February's ArtForum!